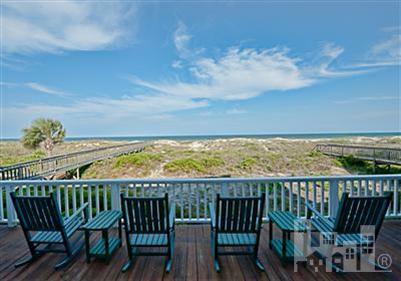 One advantage to house hunting in Wrightsville Beach from out of town is the ability to do so while on vacation. If only all real estate searches came with that option! By arming yourself with a few tools, asking key questions, and becoming a keen observer, you should be able to locate your dream home in record time. 1. Know what you want - Decide which features and components will be the most important to you and your family or partner. Boat slip or screened in porch? Gourmet kitchen or water view? You get the idea! 2. Pack a "House Hunting" toolkit - It's easy to get confused when searching for a home, even on a small island. Bring along a few simple tools to make the process easier, such as a clipboard or notebook, a measuring tape, and a camera. Hopefully those will all fit in the basket of that beach cruiser! 4. Visit the area at different times of day - As a vacationing house hunter, you'll likely be here Saturday to Saturday, which is extremely advantageous. In addition to the surf, sun, and seafood, you'll be able to check out what life is like here 24/7! For places you are interested in, check them out at different times of day to evaluate factors such as traffic patterns, noise levels, walking or driving distances to and from important destinations like the grocery store, library, school, or office. 5. Be patient - A week is a nice chunk of time to devote to a home search. However, things may not fall into place so quickly. Be aware that new listings come in all the time, and after your house hunting holiday, you'll know exactly what you're after! We hope these tips help you as you plan your house hunting / beach vacation in Wrightsville Beach. Be sure to call the expert agents at Hardee Hunt and Williams to show you around town! Call us at 910-256-6998.